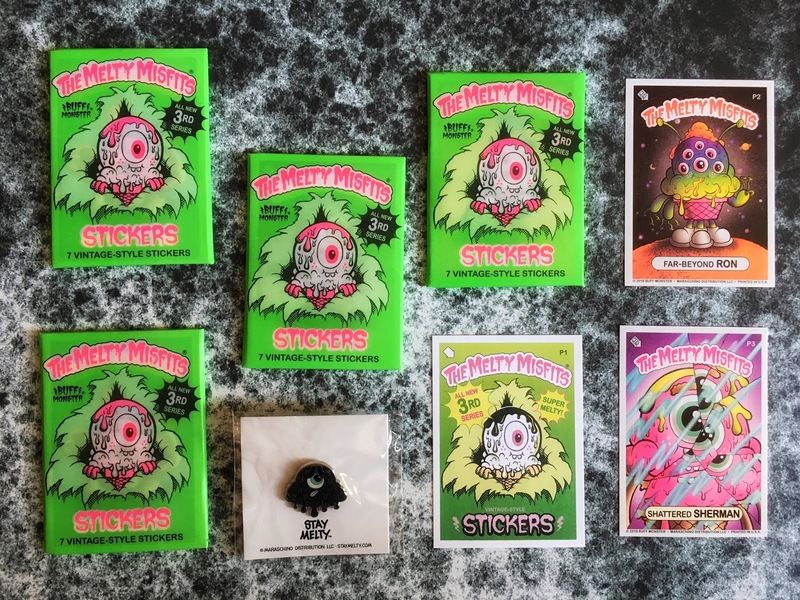 I don't know if you already know the brand Buff Monster, I've been following the designs for a few years now, and every time they make a Kickstarter campaign I always pledge on their cards, a low pledge and then, when I receive the beautiful cards, I regret not having bought the full box! 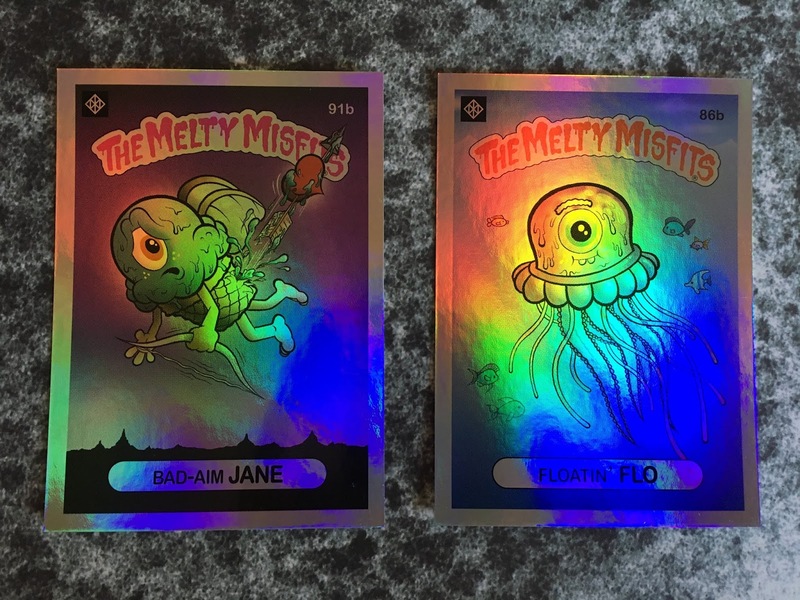 So, today I want to share with you the amazing new creations of the Melty Misfits, 3rd Series! I think this is my favourite series, I had so many beautiful cards that I can not decide which one I like most. 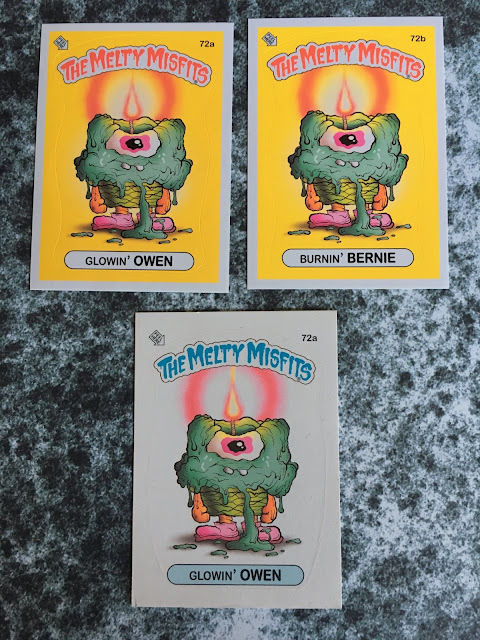 a/b versions: There are two cards featuring each character. 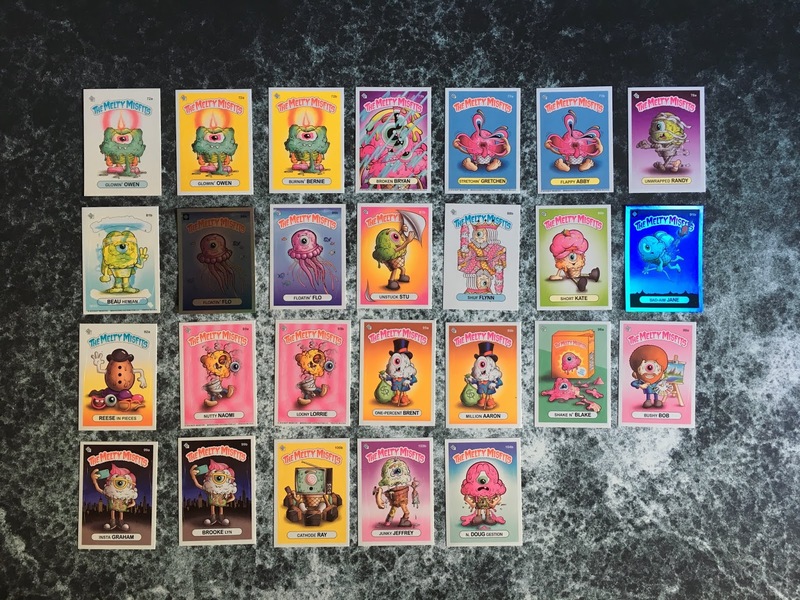 The base set includes all the (a) and (b) versions for a total of 80 cards. Variation cards: If you look really closely at your favorite trading cards, you’ll find little variations on different pieces of the same card. Signed cards: We leave the backs blank on several sheets of stickers. Sketch cards: Blank-back cards printed on extra thick stock. Error cards: Colors are intentionally printed off-register, colors are left off, art from the back is printed on the fronts, and so on. The results are always unexpected, and always interesting. Golden Ticket: These are super duper rare, but they’ll get you something really awesome! I should learn that in the next campaign I have to buy all the cards! !